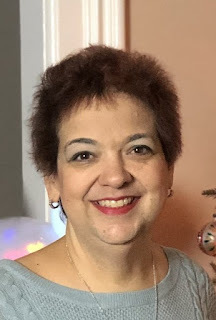 Kimberly Sue Scott beloved wife of Pastor Raul Scott passed away January 18,2019. She was born October 3, 1969 in Lockport, NY the daughter of the late Anthony J. and Judith (Golding) Cercone. Executive Director of CareNet of Orleans County, Secretary and Associate Pastor with her Husband at Light of Victory Church. Previously worked at Don’s Grocery, Little Lambs of Victory Christian Center, and Golding Trucking. Ministered with her Husband in various roles at Victory Christian Center, Resurrection Power Ministries and Light of Victory. Kim loved her family, loved people, and loved her savior, Jesus, even more. Kim was a member of various Christian Women’s groups and loved baking, scrapbooking, collecting precious moments figurines, collecting Mickey Mouse items and loved spending time with her husband. Kim is survived by her beloved brothers Ron (Lisa White) Cercone, Scott (Judi) Cercone and Anthony J. (Amanda)Cercone and the late Kevin Cercone . Also survived by sisters-in-laws Joanne Cercone, Laurie (George) Myers and Michelle (Jordan) Fetfatzis , mother-in-law Deborah Scott (Craig Platter) and several nieces, nephews and great nieces and nephews. Relatives and friends may call Thursday January 24, 2019 from 2 to 5 and 7 to 9 PM in Prudden and Kandt Funeral Home, 242 Genesee Street, Lockport, NY. Funeral services will be held Friday January 25, 2019 in The Light of Victory Church, 47 Brown Street, Albion, NY. Interment will be in Union Cemetery, Albion, NY. Memorials to CareNet of Orleans, 168 South Main Street, Suite 2, Albion, NY 14411 would be appreciated by the family. Online condolences at www.pruddenandkandt.com.